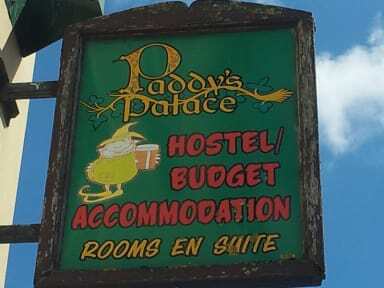 I was happy with my overnight stay in Paddy's Palace Killarney. My room was very comfortable and the shower was excellent. I would have liked the communal area to a bit more inviting. Yes it was set up for cooking and eating but not for sitting back to chat or read. The hostel served its purpose of somewhere safe and comfortable to stay overnight but not to sit and talk. Good base camp for hiking but bedroom door wouldn’t lock. Good location but room very basic. We had to stuff the window with loo paper to keep the biting cold wind out....the whole bottom of the window..... no place to store a bag..... bed sidelight was broken, i mean physically broken and not working..... place very tatty and a bit sad really... chap at reception pleasent enough and location very good. The room was small but nice, the bathroom was clean but did smell of mold before we turned the exhaust fan on. All in all it was a good value for the price paid, and the hotel manager was very kind and helpful. Very Basic hostel compared to previous ones I have stayed at. Stayed here in a dorm on the ground floor and the toilets were up on the next floor (quite a trek especially in the middle of the night). There was only 1 toilet between about 4 dorms. Very inconvenient. 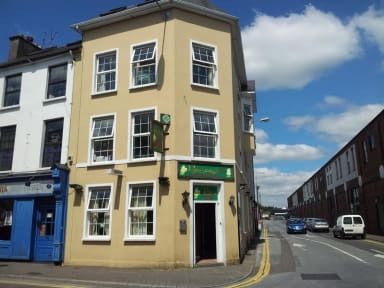 They had a decent kitchen and the location was good, short walk to the centre of the town. This place really was one of the worst hostels we've stayed in on our two month trip through europe. The reception is only open from 4-8 every day, it is also very dirty, in our bathroom the shower clogged right away, you could see the mould in the walls in a small exposed area, and the rest of the walls were just covered up with some plastic panels to hide the mould. The heating also shuts off at some point in the night so I it was very cold. I reccomend not wasting your time or money here.